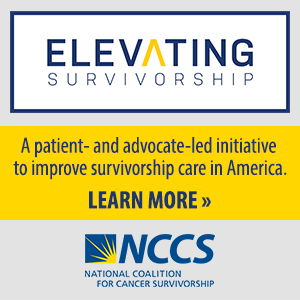 SILVER SPRING, MD – The National Coalition for Cancer Survivorship (NCCS) joined 11 other patient groups in filing an amicus curiae (or “friend of the court”) brief in support of the lawsuit that challenges the regulation authorizing short-term health insurance plans. The amicus curiae brief explains to the court the potentially devastating impact of short-term health insurance plans on people with cancer and other Americans with serious and chronic diseases. The lawsuit, Association for Community Affiliated Plans v. United States Department of Treasury, claims that the short-term insurance plan regulation was not proposed or finalized according to proper regulatory standards and as a result is “arbitrary and capricious.” The amicus curiae brief, or friend of the court brief, that NCCS joined supports that conclusion and also describes the harm that will be suffered by Americans with serious health problems or at risk of disease if short-term insurance plans are permitted. NCCS was honored to join colleagues in the health care community in presenting to the court the perspective of patients with serious health care needs. By participating in this friend of the court brief, NCCS helped ensure that patients will be heard in a case where legal and technical issues have critical implications for Americans’ health care coverage.